I know the song. You probably do too. But I love learning more about the story that inspired Bart Millard to write this song. “Dreams don’t pay the bills” was something Bart heard early on from his dad, but it was the same sentiment from the music executives who discouraged him after he arrived in Nashville. As he pursued his dream, he also realized he had to face the pain from which he was running. but the redemption that comes is always glorious. 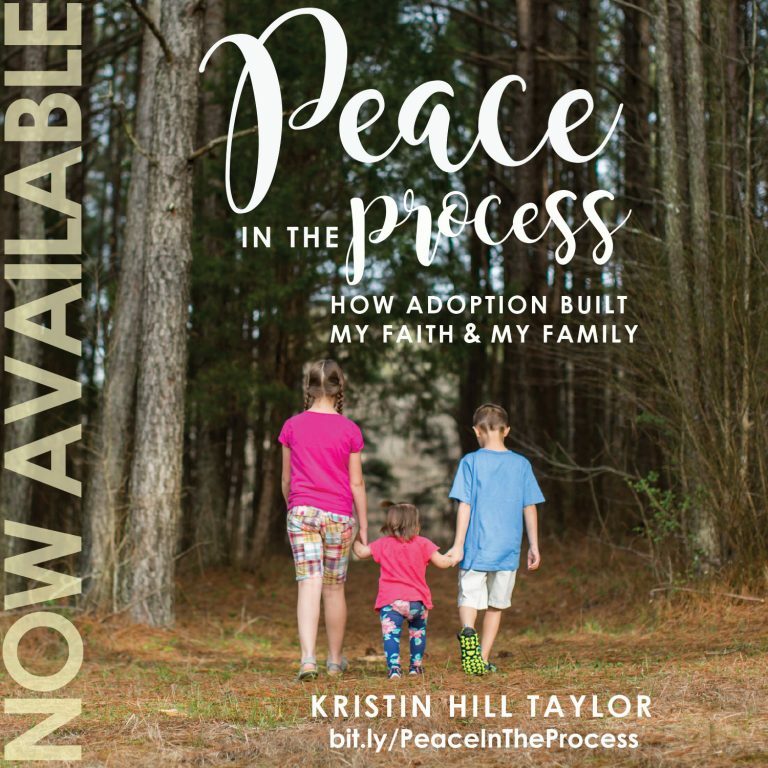 This is a beautiful story of relationships healed, dreams realized, and truth proclaimed. Bart recognized his father’s transformation from a man he hated to an example of the man he wanted to become. On a lighter note, the late ‘80s and early ‘90s culture references were spot on and made me a little nostalgic for my own coming-of-age story. 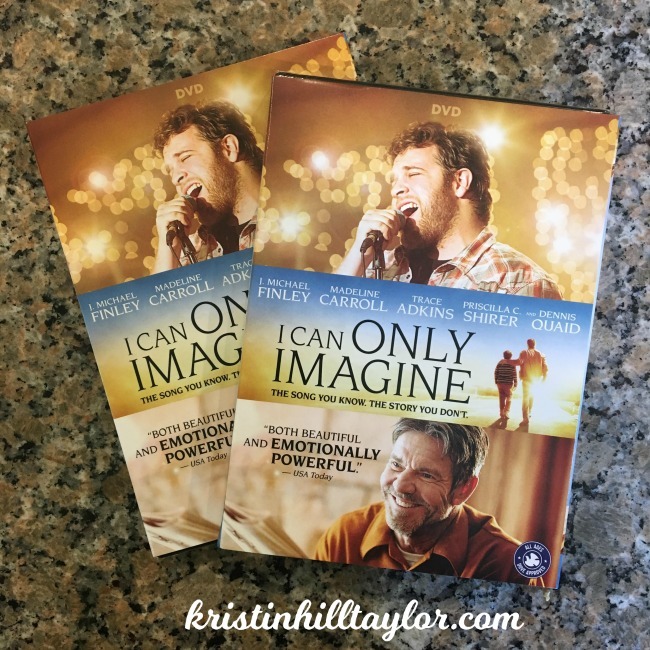 “I Can Only Imagine” is a well-made movie obviously held to excellent standards, which, let’s be honest, isn’t always the case for Christian movies. I will also say my 11-year-old girl watched this movie with me and I was totally comfortable with her doing so. Younger kids probably wouldn’t be as interested and there are multiple references to the abuse Bart experienced in his childhood home. The home entertainment release of “I Can Only Imagine” features more than three hours of extras, including seven deleted scenes, seven in-depth features, and audio commentary. This movie from Lions Gate studio is rated PG. Watch the trailer. Buy the movie. Learn more on Facebook, Twitter, and Instagram. Who wants to have a copy? 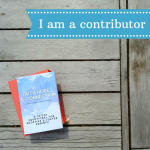 I’ve got one to giveaway! Between now and Friday, June 15 use the Rafflecopter widget to enter to win. The giveaway is open to U.S. residents only. I received two copies of this DVD – one to review and one to share – courtesy Propeller Consulting / FlyBy Promotions. The giveaway winner and opinions are not influenced by monetary compensation. God saved me at a low point in my life, brought me peace and purpose. I have seen Him also work through other lives, so amazing and powerful He is!! So powerful! Thanks for being here, Jennie! Oh I can’t wait to see this movie…it looks wonderful!! 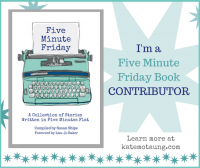 I’m glad you entered to win a copy! I know you’ll love it! This is one of my husband’s favorite songs! Love the movie and the song! Yes, me too! Glad you entered to win! This is an excellent DVD to add to any collection. Loved the movie. Thanks for the chance to win!! I’m glad you entered to win! I’ve been fortunate to have seen redemption in my life. Thanks for the giveaway. I hope that I win. Every single day the Lord gives me redemption…even in the little day to day things like if I lose patience with my kids/husband, if I get irritated at other drivers on the road, etc. Also, this movie is amazing. As someone with a dad who experienced abuse from his father and then ended up taking care of this father in is old age this reminded me a lot of that…as well as my niece who is suspected of suffering abuse from a former stepmother. My niece is obsessed with this movie and talks about it all the time. What a powerful movie! Yes! I’m thankful for those daily examples of redemption in my world too. And, yes, it’s such a powerful movie! Redemption looks like all the big things that make the highlight list, but also the daily little things that make life livable and full of hope! Yes, those little things are life changing. Thanks for being here!